This sketchup video will help the sketchup users to learn how to produce snowflakes instantly through various sketchup components. Some useful sketchup tools like move, rotate, eraser, line tool etc. are used here to make the scene. This video is a part of sketchup skill builder series. This is another useful tutorial from RubySketch through the sketchup youtube video. Here one can get brief information on how sketchup and PlusSpec can be integrated to provide 3D views of construction details. PlusSpec is considered as the most powerful 3D, 2D and Cad software that can provide the following benefits to the Architects, Builders, Estimators, Manufacturers etc. This sketchup tutorial is designed for basic and advanced users of sketchup. The tutorial shows how to create the drawing & design of a spiral staircase with sketchup make. 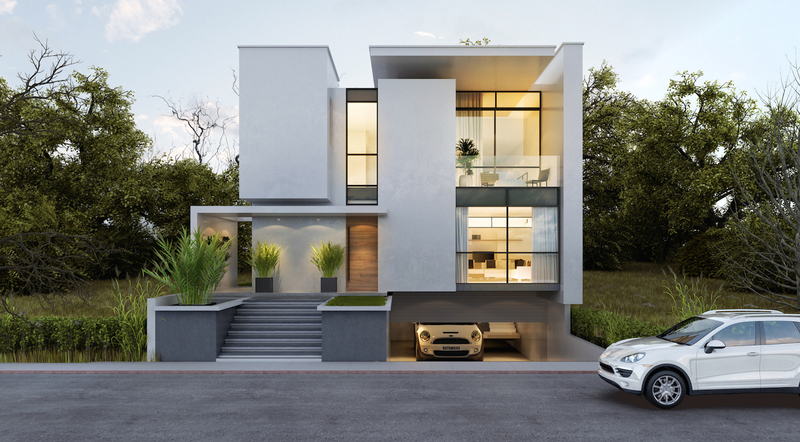 Sketchup is the most effective design tool to generate 3d models and exterior architecture. This is an exclusive video for sketchup vray users. This sketchup youtube video will introduce you to a new script that can speed up the process for exporting all VRmat materials from sketchup to 3ds max. VRmats refer to material presets which only support the V-ray renderer. In V-Ray 3.0, VRmats is presented as a new extension format. With V-Ray VRmat Materials the user can load a V-Ray shader from a file (.vrmat, .vismat, .vrscene) and apply them in the scene. These files can be exported from 3ds Max or Maya and compatible with any platform. The users will be able to run the shader directly or modify its settings by selecting the Show VRmat Editor button. This is another exclusive sketchup tutorial from youtuber Sketchup Phan Thuc. In this tutorial one can learn how to apply v-ray for sketchup for interior rendering of a bedroom after arranging and providing light setting. 2030Studio were commissioned to design a family home in the coastal city of Balneário Camboriú, in Santa Catarina, Brazil. The design for the three bedroom house would need to create strong inside-outside connections bearing in mind that cost would be a significant consideration and qualification for any sustainability strategy. Approach: The 2030Studio team’s initial design, that placed private rooms on the upper floor and the more public spaces below, established a strong connection between inside and outside whilst ensuring privacy for the home’s residents. Large glazed openings frame desirable views of a national nature reserve just behind the site and ground floor spaces open up to connect to the back garden. 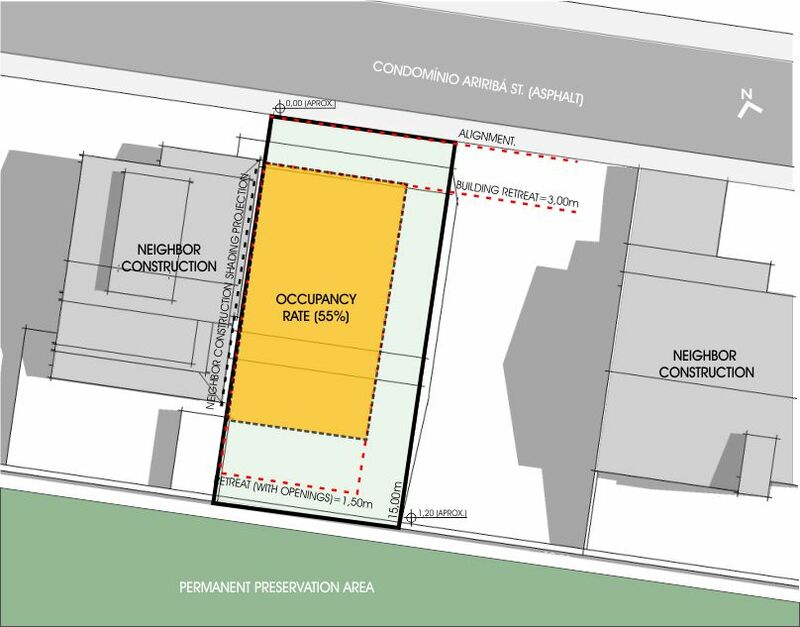 While these indoor-to-outdoor connections were compelling, the design team was concerned that they would have a negative impact on solar gains and glare within these spaces. 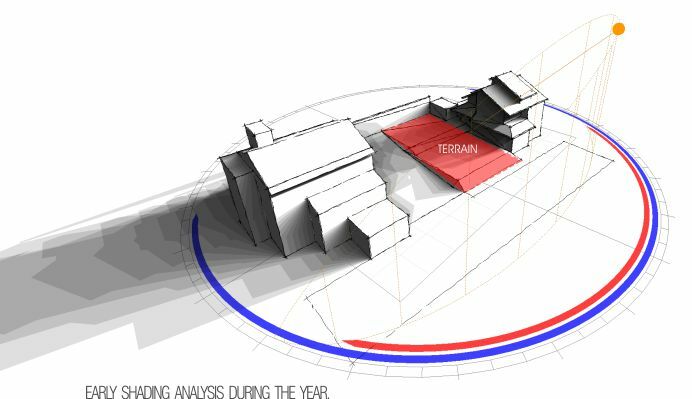 To test their assumptions, the team created a whitebox model based on this initial concept, and analyzed it using Sefaira’s realtime plugin and daylight analysis feature. 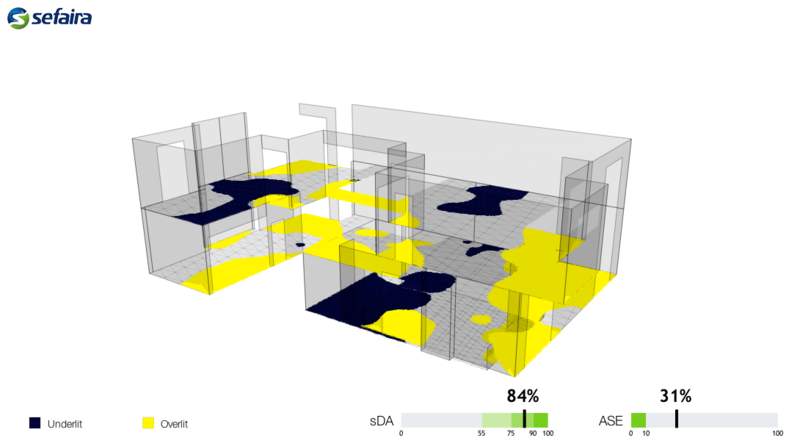 Results: Using Sefaira, 2030Studio were able to analyze their proposed solutions to ensure better daylight distribution across all spaces; they were able to significantly reduce glare in most spaces, driving ASE levels down from 31% to 9%. Implementing the shading strategies reduced sDA by only 3% — thus keeping the average daylight levels high within all spaces. In addition to a well lit interior and better visual comfort, they were able to reduce EUI by 17% (from 97kWh/m2/yr to 80kWh/m2/yr). 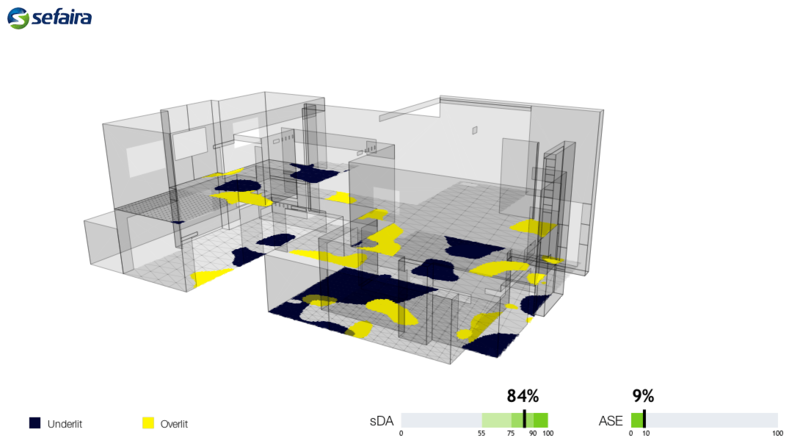 2030Studio used Sefaira analysis results and additional renderings to illustrate the impact of shading features on the building’s overall aesthetics as well as how the proposed changes actually improved daylighting throughout the home’s interior. High-Performance Rendering Now Integrated into Architecture’s Leading Design Platform; Free Download Available Now. BALTIMORE, MD. 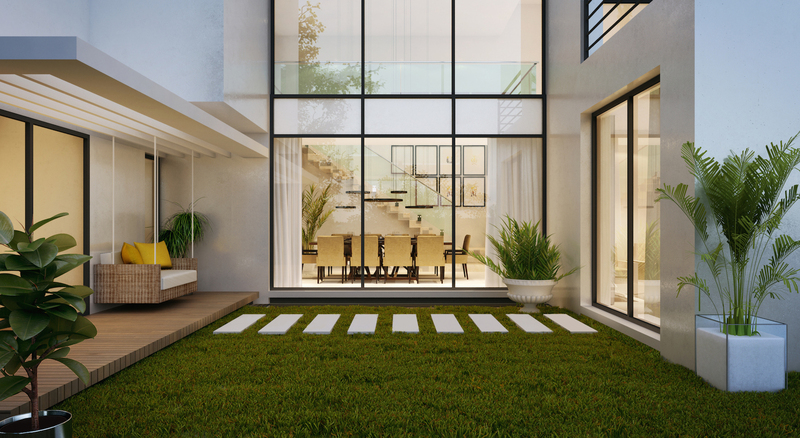 – December 1, 2015 – Today, Chaos Group announces the V-Ray for Revit Public Beta. Intelligently integrated into Autodesk Revit, V-Ray’s core rendering technology has been tailored to meet the needs of architects at all stages of the design process – from concepting to VR. After extensive feedback from firms across the world, V-Ray for Revit has been designed to fit seamlessly into production, providing powerful rendering with streamlined controls. A familiar interface and easy-to-use presets help new users start taking advantage of V-Ray’s proven capabilities quickly; while advanced post-processing and a stereoscopic VR camera set them up for creative success down the line. V-Ray for Revit establishes a unified visualization pipeline, linking together V-Ray for SketchUp, Rhino and 3ds Max, which will make projects more efficient, and designs more reliable as they move across multiple platforms. Revit cameras, lighting and materials are all supported as well, ensuring a simple adoption process. 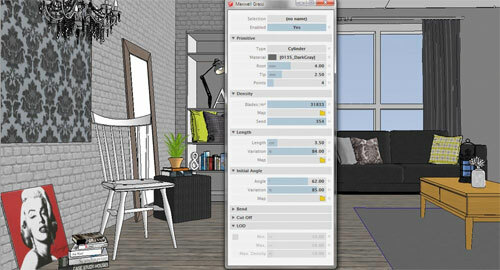 V-Ray for Revit public beta is available as a free download. After creating an account on chaosgroup.com, users can follow the link at the V-Ray for Revit product page to register. About Chaos Group: Chaos Group creates physically-based rendering and simulation software for artists and designers. Founded in 1997, Chaos Group has devoted the last 18 years to helping artists advance the speed and quality of one of their most important tools. Today, Chaos Group’s photorealistic rendering software, V-Ray®, has become the rendering engine of choice for many high-profile companies and innovators in the design and visual effects industries. The SketchUp plug-in for Maxwell Render offers a whole host of functions that enable the user to create a wide range of textured materials. If you’re specifically interested in creating a densely textured rug then Maxwell Grass is your friend. This feature (known as a Maxwell Render extension) can be accessed directly within the SketchUp interface via the SketchUp plug-in for Maxwell Render. Officially it’s called Maxwell Grass but don’t let the name throw you: this extension has such a high number of unique parameters that it’s possible to create textures that are ideal not only for grass textures, but also carpet and rugs. Maxwell Grass basically generates geometry for selected groups in SketchUp once the scene has been exported to Maxwell Render. It’s all about the RAM: Pro tip: If only a small portion of the rug will be visible in the final render, use the Level of Detail parameter to render more blades near the camera and gradually less blades as the distance from the camera increases, thereby saving that precious RAM. How to get started: To get started, select the group and then click on the Maxwell Grass icon in the SketchUp toolbar. A new window will open with a range of settings. Here you have the ability to specify the parameters of how you’d like the grass (or in this instance fur) to appear. The Primitive setting is the first step in specifying the colour, shape and thickness of the blades, including the number of points (segments). In my scene I chose the Cylinder setting and opted for quite thick individual strands. Just remember that RAM usage will increase depending on which type of Primitive you choose and the associated number of points. The density and length of the blades can be specified according to preference and a very useful randomiser can be used to vary the length according to the percentage input. The Maxwell Grass extension also includes Bend parameters. These control the bending of each strand of blade, at what length it starts bending, the angle it bends, and the bending radius (with randomisers for each). The Bend parameters are invaluable when trying to recreate the behaviour of densely textured fur rugs and provide a high level of accuracy and realism. Explore additional functionality of Maxwell Grass by using Maxwell Studio to add gradient and texture maps to further refine and enhance.